The decorated soldier, who had been stationed at Joint Base Lewis-McChord, was injured in combat in Afghanistan on Jan. 12 and died five days later. 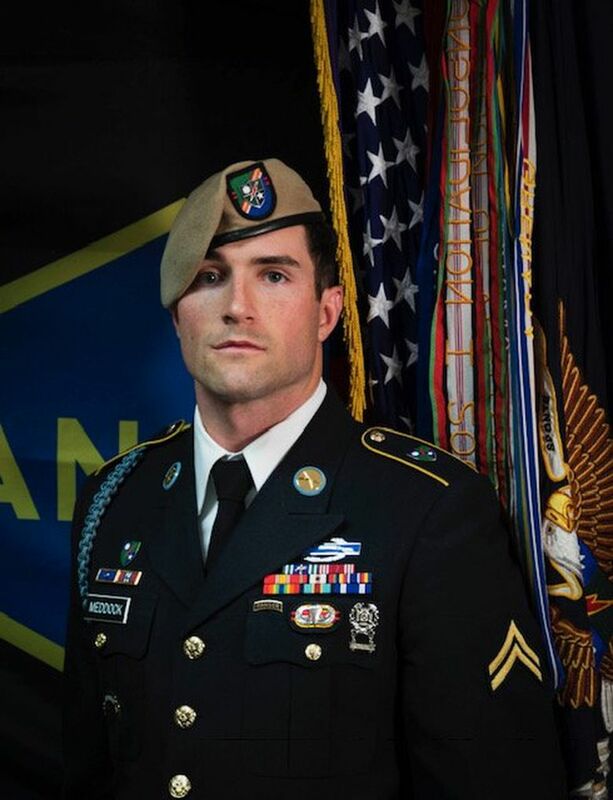 An Army Ranger who had been stationed most recently at Joint Base Lewis-McChord died Thursday from injuries suffered in Afghanistan, according to the Department of Defense. Sgt. Cameron A. Meddock, 26, of Spearman, Texas, was wounded Jan. 12 in Badghis Province, Afghanistan, and died of his injuries in Landstuhl, Germany, the Department of Defense said in a news release. Meddock, who was on his second deployment in support of Operation Resolute Support, was serving as a fire team leader with Company A, 2nd Battalion, 75th Ranger Regiment. Meddock enlisted in the U.S. Army on Nov. 14, 2014. He completed One Station Unit Training as an infantryman, the Basic Airborne Course and the Ranger Assessment and Selection Program 1 at Fort Benning, Georgia, according to the Department of Defense. He served as a machine gunner, automatic rifleman and gun team leader before becoming a fire team leader. In just over four years with the Army, Meddock had been awarded the Purple Heart, Joint-Service Commendation for Combat, Army Achievement Medal with two Oak Leaf Clusters, Army Good Conduct Medal, National Defense Service Medal, Afghanistan Campaign Medal with Campaign Star, Global War on Terrorism Service Medal, Army Service Ribbon, Overseas Service Ribbon and NATO Medal. His decorations also include the Ranger Tab, Parachutists Badge, Expert Infantryman’s Badge, Combat Infantryman’s Badge and the Expert Marksmanship Qualification Badge for a Rifle, according to the military.